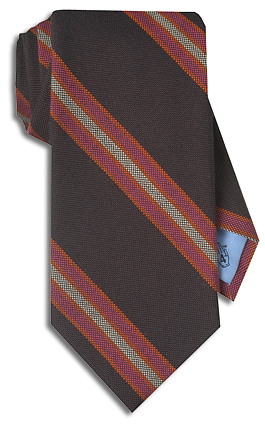 This is the only tie in our collection that is woven of cotton and wool. 54% cotton and 46% wool to be exact. The result is soft and "dry" to the touch. (In our word, "dry" means not as smooth or "slippery" as silk.) Made by hand.